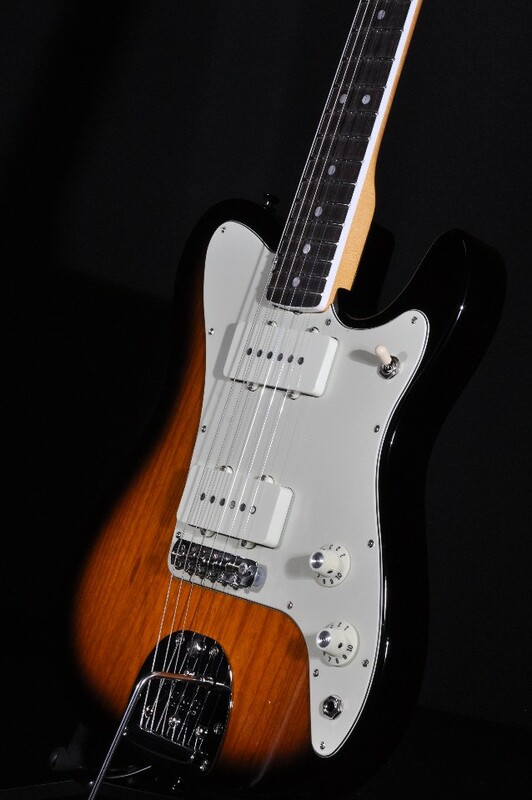 What makes this guitar special: A product standout Parallel Universe series, this Jazz-Tele hybrid is one of the most unique Fenders we've seen. 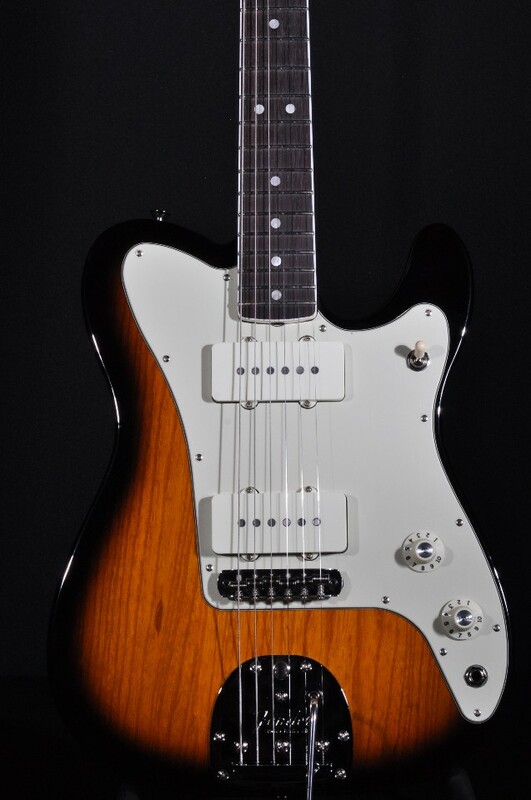 Its combination of Jazzmaster pickups, tailpiece, and bridge along with the classic comfort of a Tele body makes for an enticing combination of tonal versatility and playing comfort. 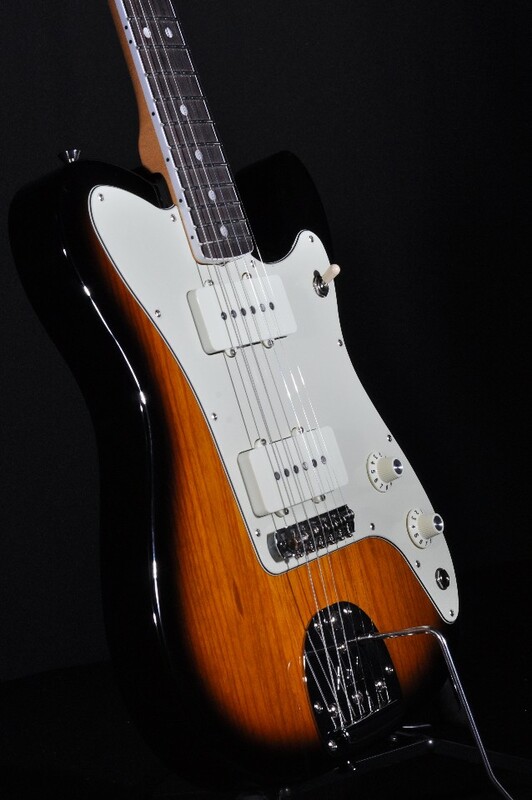 Whether you're playing surf-rock, blues, or jazz, this guitar can handle it with its excellent set of pickups and top-notch Fender playability. 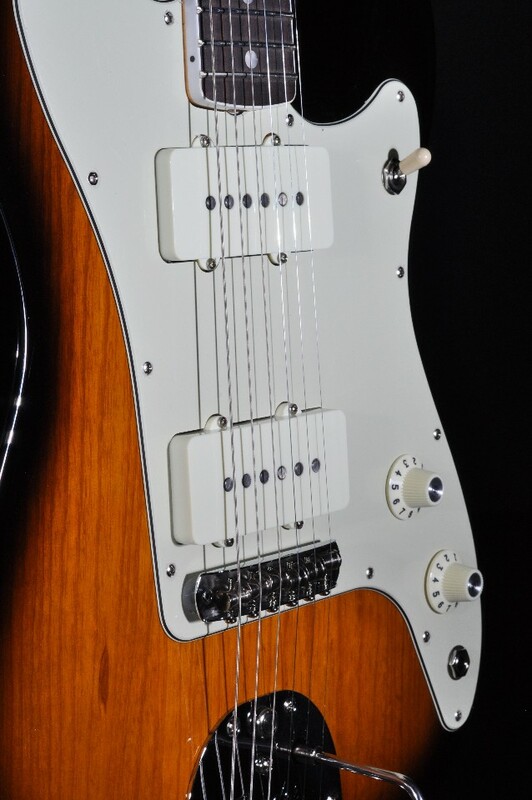 and White pearloid dot inlays. 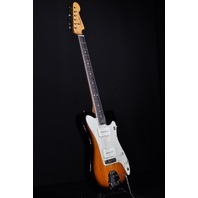 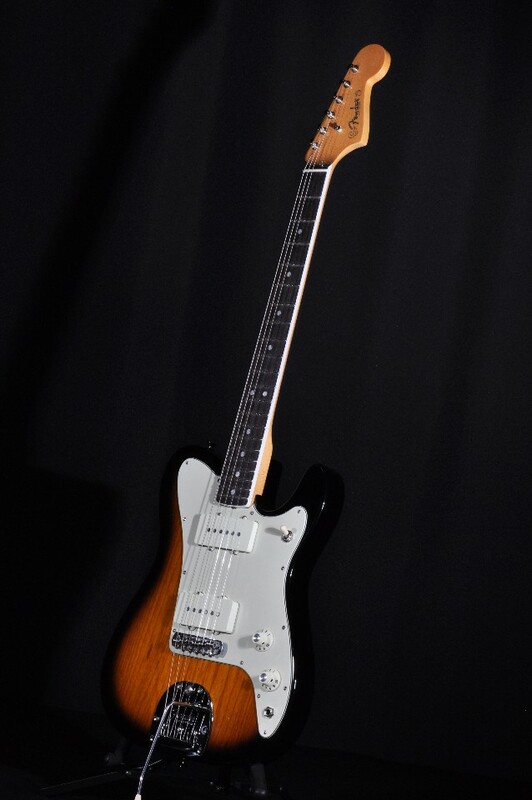 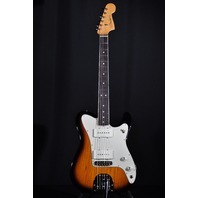 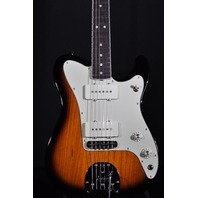 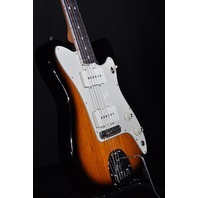 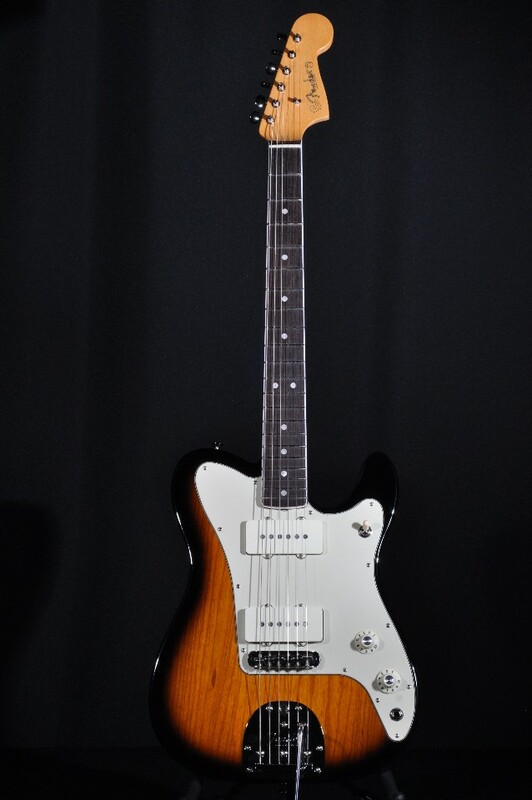 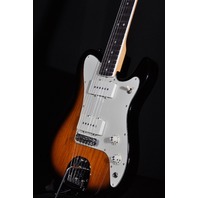 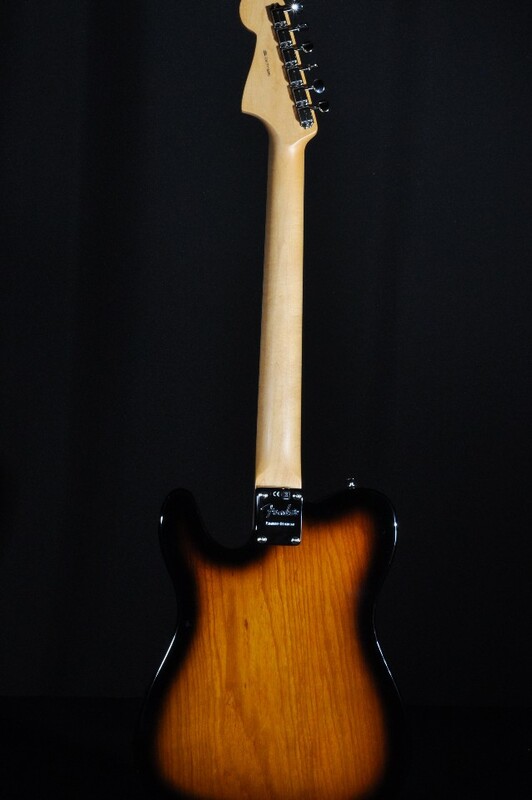 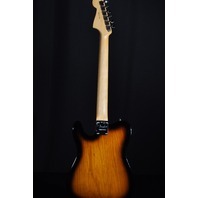 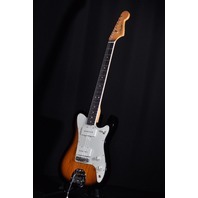 Body: Ash Telecaster-shaped body finished in gloss nitro lacquer 2 Color Sunburst. 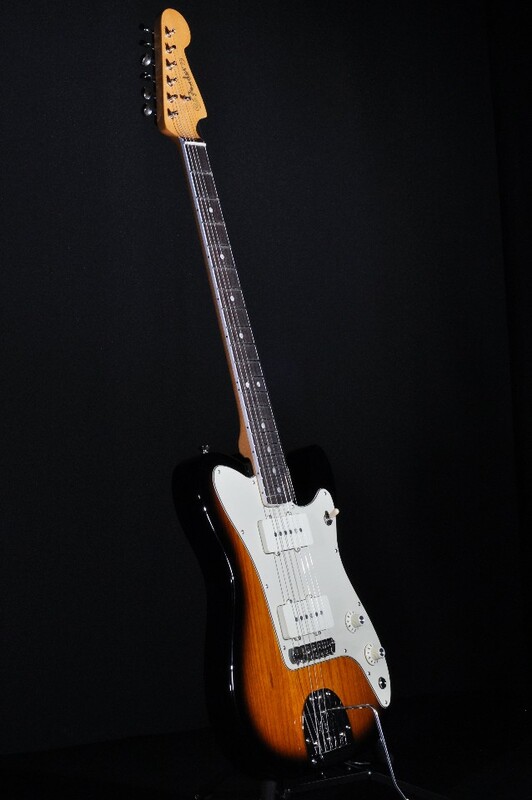 3-Ply Mint Green pickguard, Jazzmaster/Jaguar Bridge with Nickel-Plated Brass Mustang Saddles. 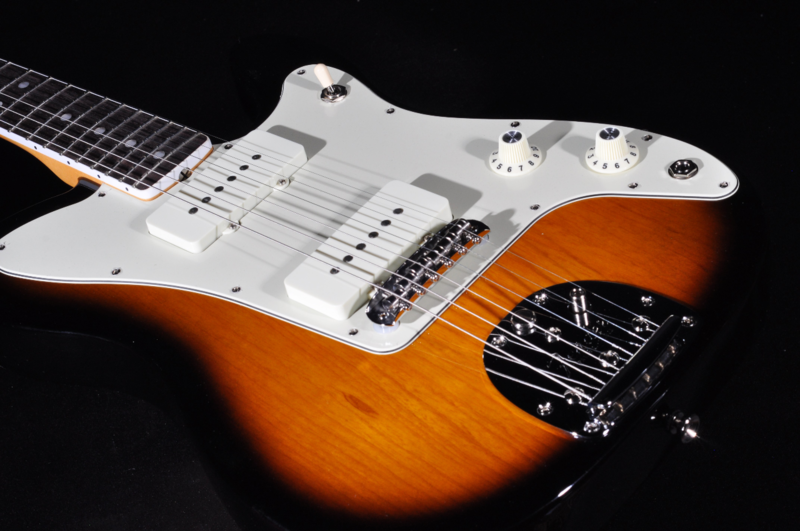 Plus, Vintage-Style Floating Tremolo with Tremolo Lock Button and Screw-In Tremolo Arm. 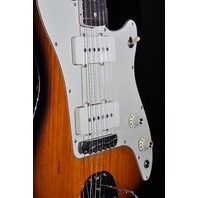 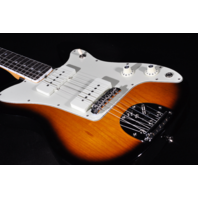 Electronics: 2x American Vintage '65 single-coil Jazzmaster pickups. 3-way toggle switching with "witch hat" Master Volume and Master Tone knobs.